How can we improve international capacity building? The “Coalition on Paris Agreement Capacity Building” has some answers. 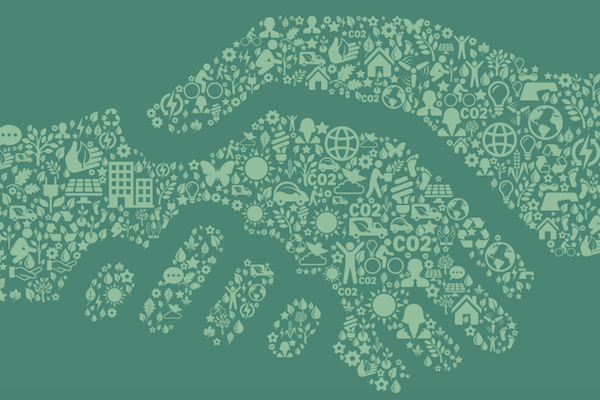 At the international negotiations level, there is widespread recognition of the important need to support developing countries in their work to build the technical, institutional, and personnel capacities to address climate change. Yet, the question of how to improve capacity building efforts is too rarely asked. Well, no longer. A passionate group of experts with a unique combination of extensive experience on BOTH climate change and international capacity building has gathered as the Coalition on Paris Agreement Capacity Building and released a ground-breaking strategy document and recommendations specifically addressing climate change capacity building. Within the climate change community, many will go so far as to shrug their shoulders when you even pose the question. And the mention of “capacity building” often elicits rhetorical response, “Well, what do you mean by capacity building?” Given our collective failure to rigorously examine our capacity building approaches, it’s no wonder we question the rhetoric. We’ve now witnessed many years of capacity building projects. And the GHG Management Institute has supported a number of these projects with technical and pedagogical expertise and training programs. No one is at fault for the limited progress to date. Yet, the Paris Agreement demands that we now thoughtfully evaluate these past efforts, precisely define a vision of a functioning global infrastructure to support the Paris Agreement, and begin innovating towards more effective and scalable capacity building approaches. We have years of experience helping developing countries, for example, to develop the expertise and institutional systems to regularly and rigorously measure, report, and verify (MRV) their greenhouse gas (GHG) emissions in support of UNFCCC obligations, emissions markets, and other mitigation measures. Think back: How many dozens of climate change reports have you seen, especially in the last couple years, on some aspect of the MRV topic? By contrast, when was the last time you saw a report that systematically studied the effectiveness of different international capacity building interventions? We are hard pressed to find scientifically credible studies on climate change capacity building. The picture that emerges is the international community funding and implementing capacity building projects on an ad hoc basis. To be somewhat crass, the general assumption often seems that more PowerPoint presentations in hotel meeting rooms with developing country trainees will eventually bridge the capacity gap. I am guilty here, having delivered too many of these presentations myself. The Paris Agreement is thrusting us into a new regime where global action is expected from all countries, developing and developed. The Agreement calls for all nations to implement their nationally determined contributions (NDCs). This implementation is grounded on provisions for GHG MRV to track the performance of NDCs. The challenge is that, even after years of capacity building projects, there is a substantial disconnect between the promises countries have made and their abilities to transparently measure and report their GHG emissions and removals. For the Paris Agreement to succeed, rich countries must support poorer countries with climate finance and capacity building. Recognizing the existing capacity gap, negotiators in Paris agreed there is an urgent need to scale-up and improve capacity building. With this in mind, a new Paris Committee on Capacity Building (PCCB) and Capacity-building Initiative for Transparency (CBIT) were created by the Agreement and are expected to become operational in 2017. So the international community sees the need, and hopefully even has the political will, to build the capacity base needed to make the Paris Agreement a success. But, again, where is the strategy, thought leadership, and foundation of studies on how to dramatically scale and improve capacity building? Do we even know what has been done over the last 10-20 years? Do we know what has worked and what has not? Do we have an evidence base so that we can improve? With these concerns in mind, a passionate group of experts with a unique combination of extensive experience on BOTH climate change MRV and international capacity building has gathered as the Coalition on Paris Agreement Capacity Building and released a ground-breaking strategy document and recommendations specifically addressing climate change capacity building. The central purpose of the Coalition is to provide thought leadership to answer this question: How do we make investments in capacity building for the Paris Agreement that are bigger, faster, and far smarter than previous efforts? Provide expert input to the Paris Committee on Capacity Building (PCCB) and Capacity Building Initiative on Transparency (CBIT). The initial phase of the Coalition will focus on the critical role of GHG MRV for national reporting and implementation of NDCs. However, later phases will address other elements of climate change, such as adaptation and climate finance. The Coalition is a think tank composed of individual champions. We are diverse in terms of nationality, languages, gender, and backgrounds. However, what we each have in common is over two decades of climate change capacity building experience and hold an ardent belief that the momentum from the Paris Agreement, and the growing recognition of the gap in many countries’ domestic capacities to implement the Agreement, requires a smart and coordinated global capacity building strategy driven by scalable and country-owned investments. Our first work-product is a capacity building strategy. This strategy unveils our preliminary answer, if you will, to this blog post’s title. In this document you’ll find a corresponding suite of innovative activities and recommendations, at a scale commensurate with the challenge of global climate change. Why is the Coalition necessary if the Agreement already addresses capacity building through the PCCB and CBIT? The members of the Coalition applaud the strong focus the Paris Agreement has given to capacity building. Based on extensive experience over many years and many countries, the Coalition also agrees there is a critical need for an initiative that is less limited by political constraints, is deeply technical, and is able to think creatively. The Coalition fills a niche. It is an outlet where thought leaders can discuss ideas, have more freedom to act with speed, be flexible, and to experiment with innovative capacity building approaches. It serves as a forum for committed capacity building practitioners and researchers to foster coordination, sharing, and promotion of best practices. For the Paris Agreement to succeed, the scale and intelligence of capacity building has to change. To fulfil its mission, the Coalition is seeking partners to catalyse this fundamental shift in capacity building by supporting it and a coordinated set of innovative activities. Download, read, and share the Coalition’s first report on a global capacity building strategy and recommendations. Please also share your comments below, especially if you have evidence-based capacity building research to suggest. Save-the-date for a Coalition side-event in Bonn at the UNFCCC SB 44, 18 May 2016 16:45—18:15. You can see a list of current Coalition members here. This list will expand in the coming months. Sign-up for Coalition news and updates. Here is an all too rare example of an interesting, yet narrowly focused study.